The first time I had poppy seed chicken was in college. One of my girlfriends made it for one our cheesy movie parties. To me this was a totally new way to serve chicken. 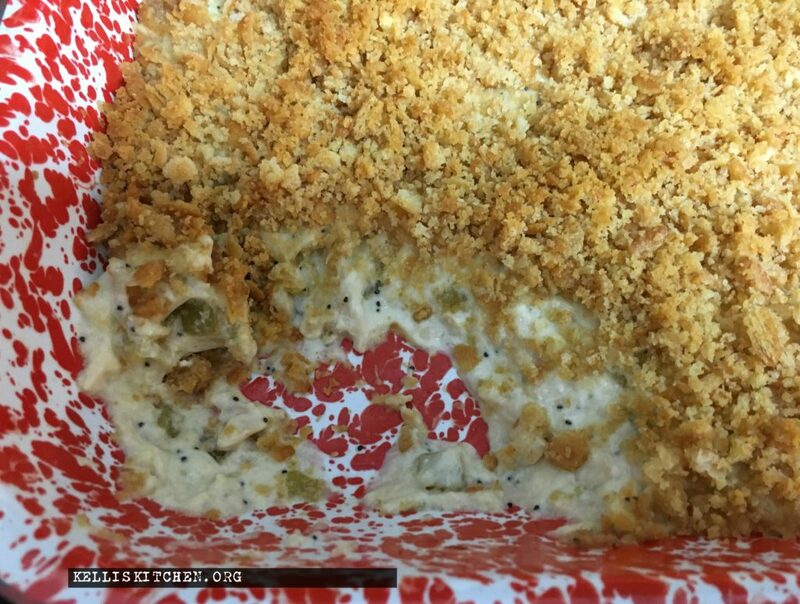 I’d never had a casserole like it. My friend game me the recipe and I’ve made it a few times since graduating. The original recipe called for a cornflake topping. I’m not a big fan or cornflakes but I do love a good, crunchy Ritz cracker topping. This time when I made it, I wanted to spice it up a little, so I added green chilies and it was a big hit with my family. I used all common pantry and refrigerator items, at least common for our house. 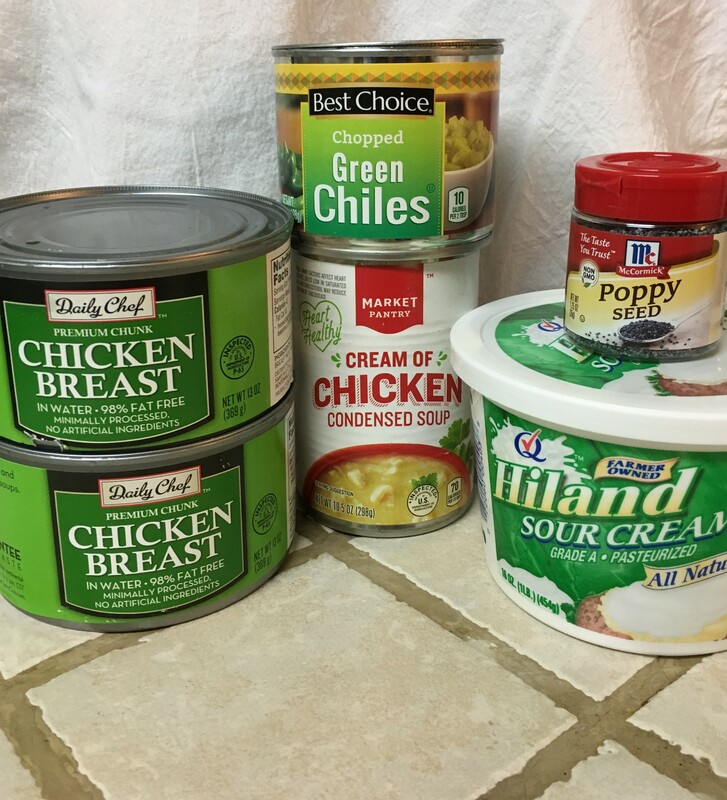 If you don’t have canned chicken, you can always use rotisserie chicken or any other leftover chicken. I served it with a bagged chopped Caesar salad and some roasted potatoes with onions and bell peppers. 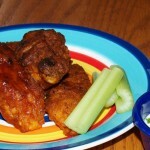 2 Cans of fully cooked chicken (more if you like). You can also use rotisserie chicken. 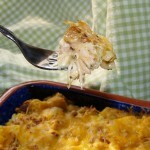 Spray an 9×13 or slightly smaller casserole dish with non-stick cooking spray. Set aside. 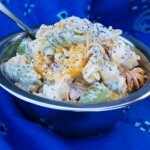 Shred chicken in a medium bowl. 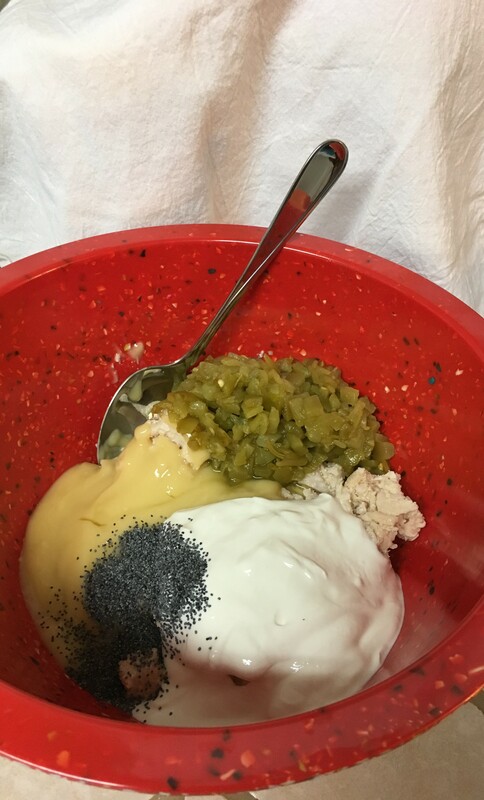 Add sour cream, cream of chicken soup, green chilies, mayonnaise, cheese and poppy seeds to the chicken. Mix well. 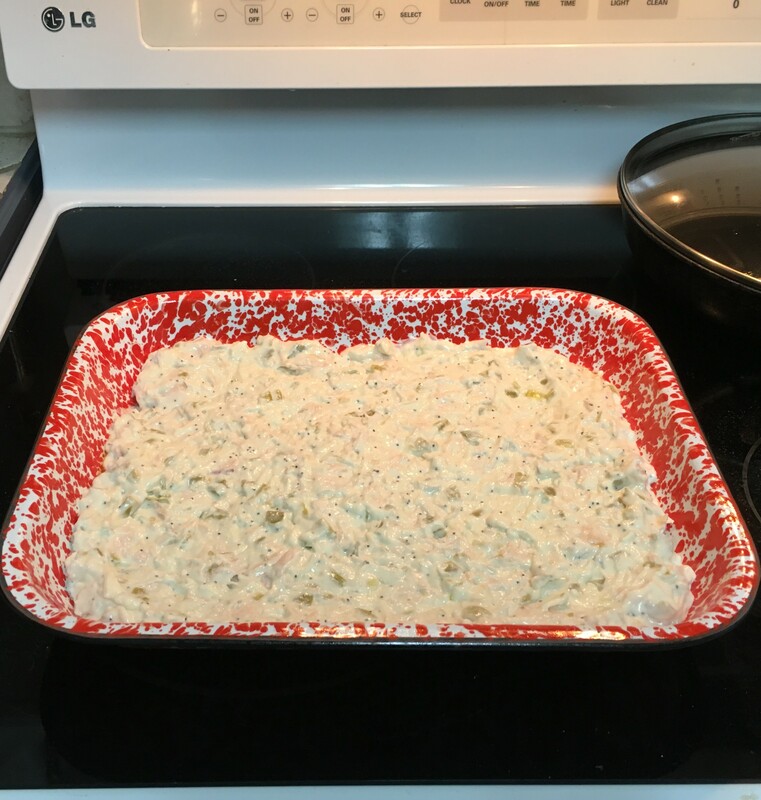 Spread chicken mixture into prepared casserole dish. 6. In a small bowl combined crushed Ritz crackers and melted butter. Mix well. 7. Spread cracker mixture over chicken mixture. 8. Cook in oven for 25 minutes until top is golden and mixture is starting to bubble. I made this yesterday with lean pork chops. 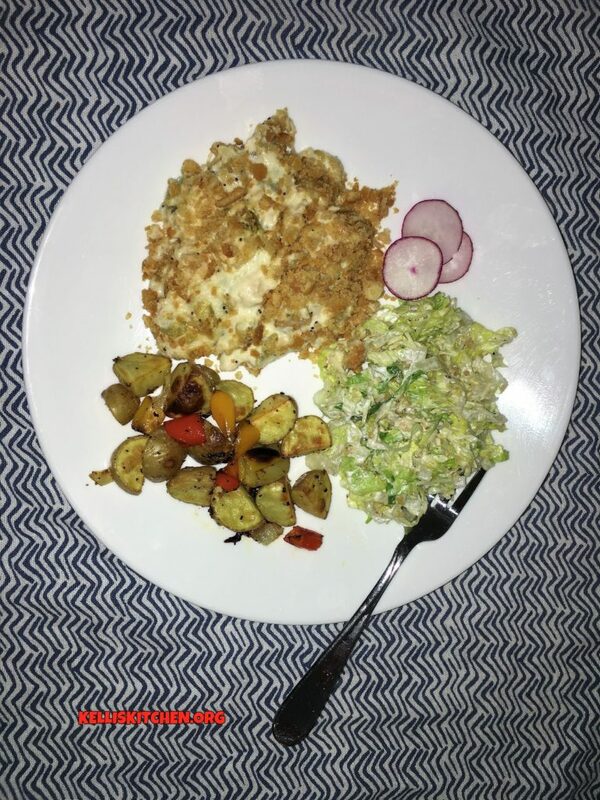 I used panko instead of cornflakes and had to cook an additional 20 minutes but it was delicious; moist, flavorful and completely not greasy. Wonderful! 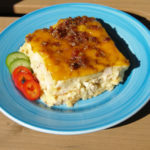 Ovens are often “off” a little and so cooking time can be off by 30 minutes or more……..I’m so glad you liked it! Green chili anything and I’m there. Great way to update a classic, Kelli! 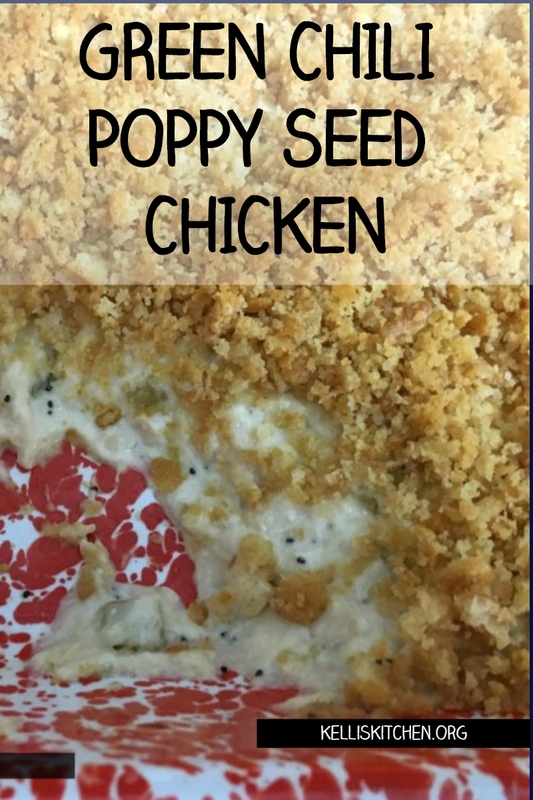 I must have been living under a rock for some years as I’ve never heard of poppyseed chicken. I sure does sound good Kelli. BTW, I hope you are doing well health wise.